Usha Ramanujam lights up when she reviews numbers and budgets. And while they may not elicit the same reaction with most college students, the Portland Community College Business Administration Program instructor thinks they should. Armed with an associate degree or short-term certificate from PCC in accounting, graduates can land good positions as payroll specialists, bookkeepers or assistants with accounting responsibilities at law firms, for example. If they continue their studies at a four-year school, they can become accountants, move up the ranks of management, and earn professional certifications, such as the Certified Public Accountant (CPA) or Certified Management Accountant (CMA). PCC’s program offers associate degrees in accounting, management, marketing and business administration. Credits transfer to a four-year college or university for students wanting to study business and earn bachelor degrees. In one year or less, students can earn short-term certificates in: Accounting Clerk, Marketing, Accelerated Accounting and Entry-Level Accounting Clerk. Courses are offered at each of PCC’s comprehensive campuses — Sylvania, Rock Creek, Cascade and Southeast. 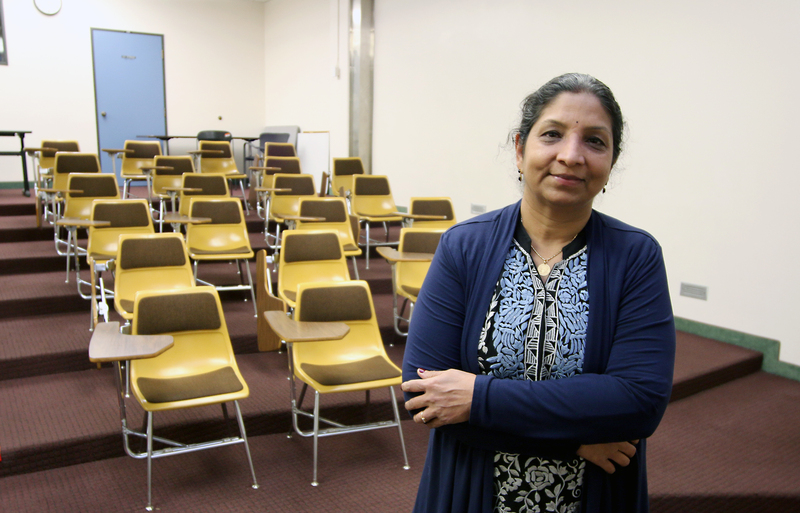 At PCC, Ramanujam teaches accounting, which is a core course in the college’s business program. In her class, students learn the leading computer application software programs to become proficient in managing accounts and budgets. Once they’ve completed their studies, they can enter the workforce or transfer to public or private universities like Portland State, Oregon State, or Reed College. Speaking of budgets — PCC and the state’s community colleges are advocating for a 2019-21 biennium budget of $787 million to help the 17 two-year Oregon colleges excel at serving the state. Part of the budget is $70 million to bolster student support services, like advising and counseling, to ensure students complete their degrees or certificates. Student support is a hallmark of the Business Administration Program, which is offered at all four comprehensive PCC campuses. In addition to teaching, Ramanujam advises students on their academic and professional careers and underscores just how critical it is for students to have the support they need to move through the program and graduate. Ramanujam grew up in the southern state of Tamil Nadu, in India. Her father was a judge, which meant the family moved often as he was assigned to different regions of the country. Eventually, they would settle in Bengaluru (Bangalore), which is the capital of the south-central state of Karnataka. “In my family everyone is a lawyer, but business interested me from the start,” admitted Ramanujam. At the age of 19, she started working in India while simultaneously earning her first master’s degree in business. In 1988, she left India and went on to earn her second master’s degree, in accounting, at State University of New York, in Albany. She found work in IBM’s internal audit department, and as an accounting instructor at a New York community college. She moved with her husband to Austin, Texas to work in IBM’s microelectronics division before taking time off to raise her children. When they moved again, this time to Portland, she completed the CPA examination. Her professional expertise and lived experience serves her well at PCC. 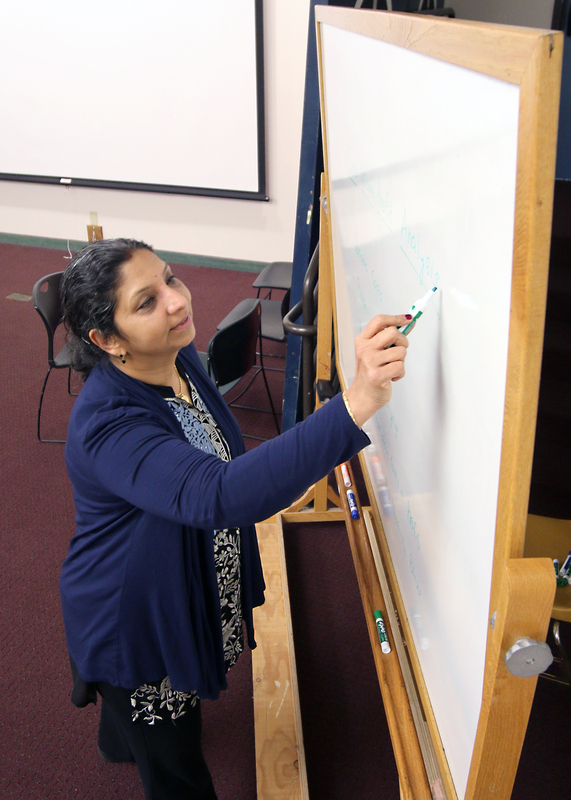 Ramanujam strives to make her program welcoming while incorporating curriculum needed by industry, such as steering the college’s internationalization efforts. To be successful, she said accountants and those working on their business degrees need to have a world view. There are 7 comment for this article. If you see something that doesn't belong, please click the x and report it. Usha – This article highlighted your background and accomplishments and it’s great to see your comments, including “Accounting isn’t just number crunching” It’s so true! Usha – I’m proud to know you! This almost made me want to be an accountant! Thanks for all you do for our students. You are such an inspiration Usha! PCC is lucky to have you guiding our students. Usha-This is awesome news! Congrats! I read the article and watched the video, and I am so happy for you! As a PCC student, I am glad you are there to guide PCC students in accounting. May you succeed in what you believe in! Very nice Usha. The students must be proud to have your counselling. Great going. Great job in instructing, guiding and counseling students to advance their careers and for speaking to the community on the need for and importance of these skills.